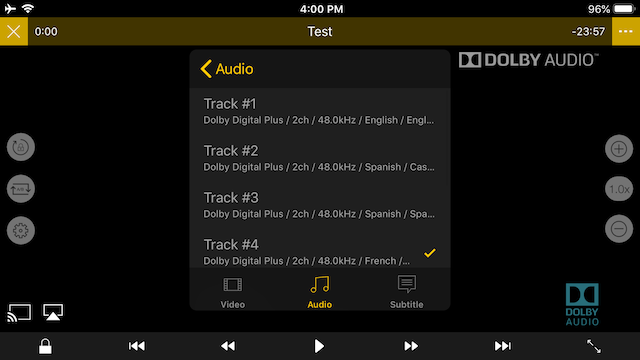 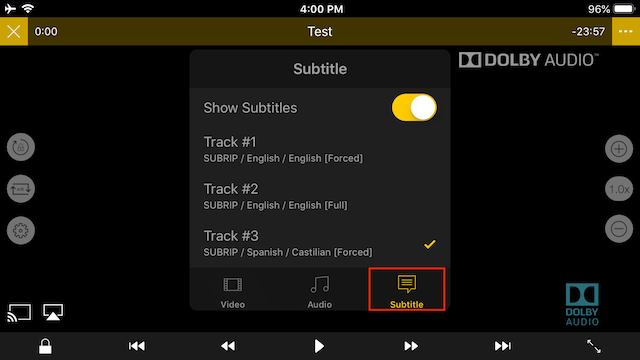 With the preferred languages for audio and subtitle, you can enjoy a video with the set language directly when playing a video with multi track. 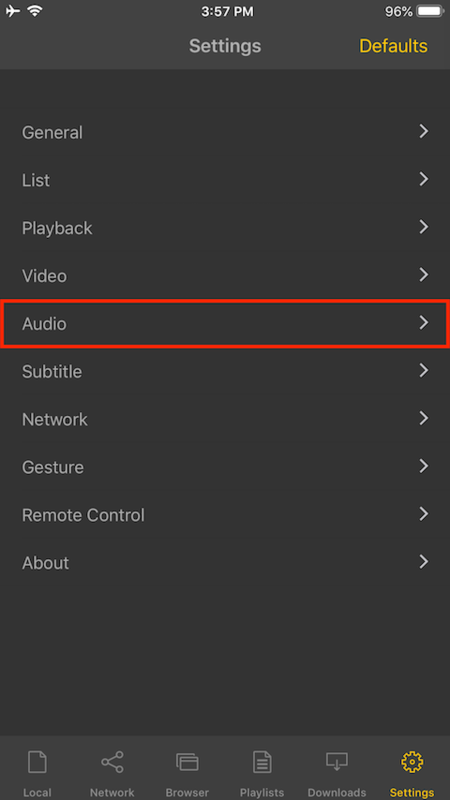 Go to Settings and tap Audio. 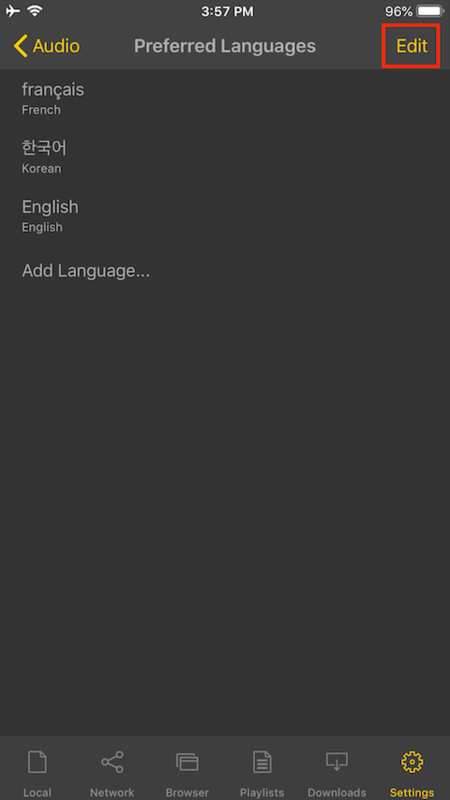 The top is set to priority. 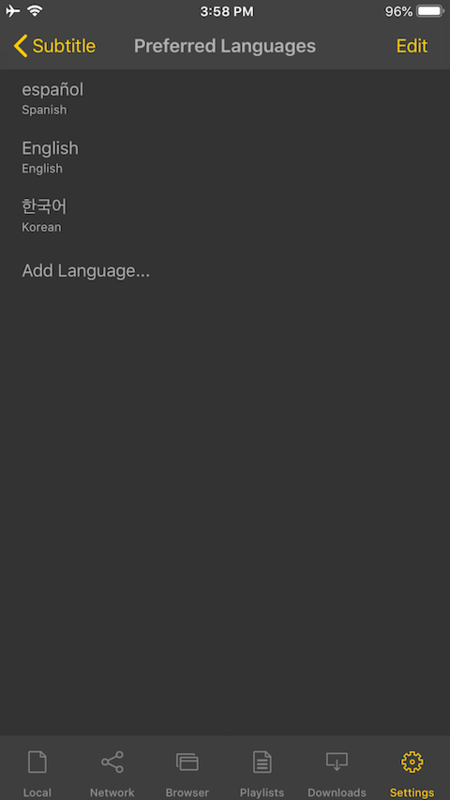 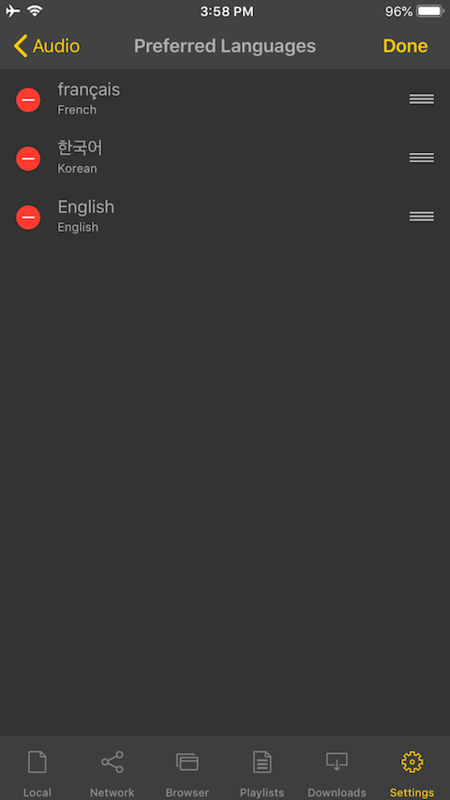 You can add other languages with Add Languages…. 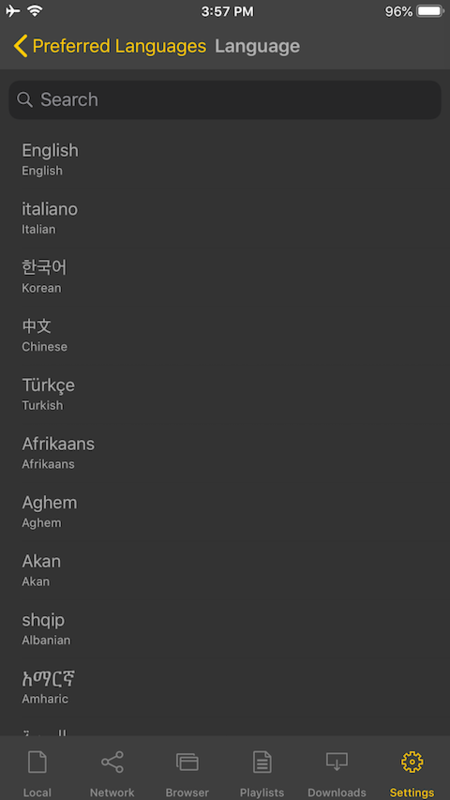 Select a language to add. 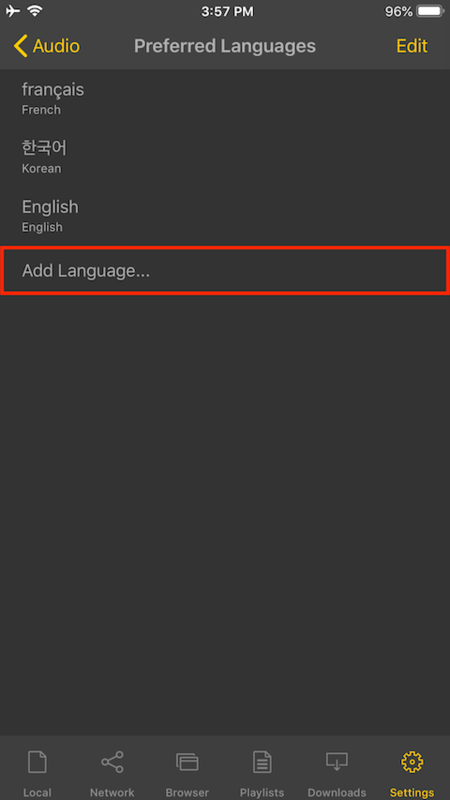 You can also edit them to move the priority. 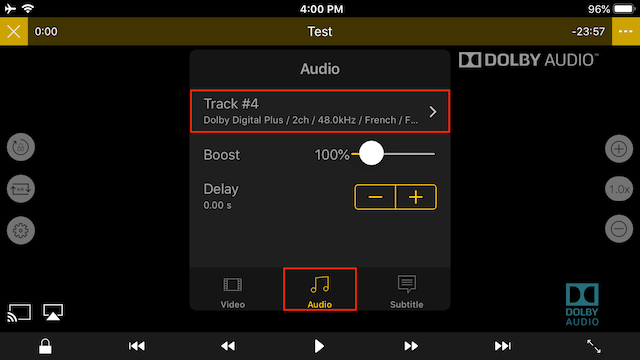 Tap Audio in Settings button on the left side of playback screen after playing a video which has multi track audio. 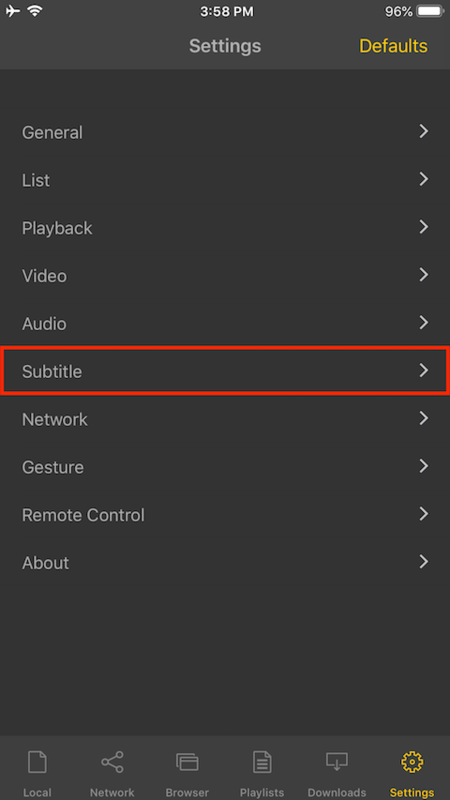 Go to Settings and tap Subtitle. 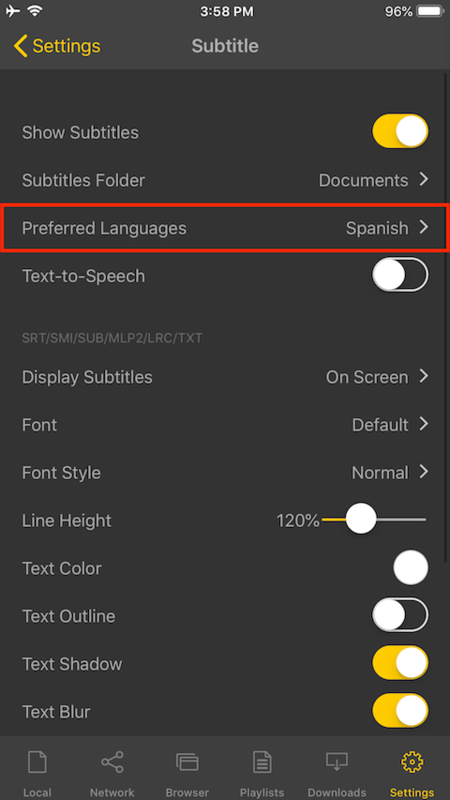 Set the preferred languages for subtitle. 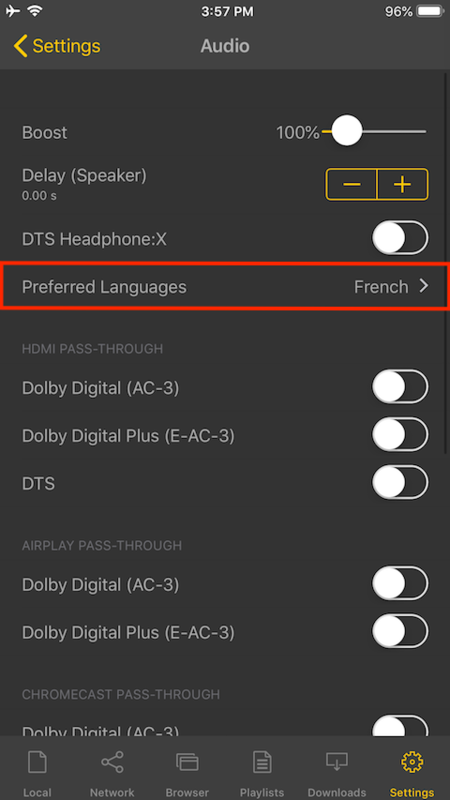 The subtitle track is played in the language you set.